Mumbai, March 22: He received unprecedented popularity with his role as Rishabh Bajaj in "Kasauti Zindagi Kii" and later as Mihir Virani in "Kyunki Saas Bhi Kabhi Bahu Thi", becoming one of the highest paid actors in the small screen industry. 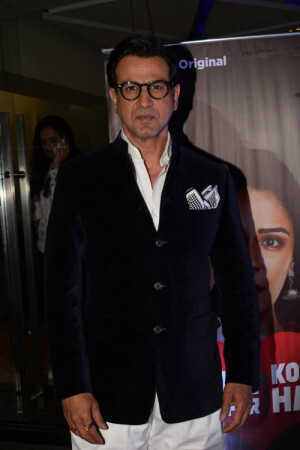 But Ronit Roy says there came a point when he felt he was "dying inside", and so he distanced himself from the television medium. "You know, there was a time I earned as much money as of a film actor during my days in TV. But I had to stop it somewhere... Because things were not happening that way (in a progressive manner), and I was dying inside. "I was telling myself 'No, I cannot do it anymore', 'I cannot push myself anymore'. So I stopped working on TV series," Ronit told IANS in an interview. Ronit, who had already worked in films before his stint in television, did more small screen shows like "Bandini", "Adaalat" and "Itna Karo Na Mujhe Pyar", besides some reality show entertainers. But films beckoned him yet again. From "Udaan" and "Ugly" to "2 States", "Student of the Year", "That Girl In Yellow Boots" and "Kaabil", Ronit has done an array of roles in films. He feels "good work in cinema" is coming to him. "Though my role in 'Thugs of Hindostan' is not big (length) but the experience is great. I have worked with Aamir (Khan) and Mr (Amitabh) Bachchan, become a close friend with our director (Vijay Krishna Acharya)," added the actor, who once earned the epithet of 'Amitabh Bachchan of small screen'. Ronit now features in ALTBalaji's web series "Kehne Ko Humsafar Hai" with Mona Singh. On his approach towards any role, he said: "Well, thankfully I have crossed that time when the director asked me to act in a certain manner. Now, they give me the character and leave it to me to build it and perform accordingly. So every action that I am doing is coming from the character. "If there is any doubt or question like why the character is behaving like this, there is a room for negotiation. I can remember how I used to argue with Vikram (director Vikramaditya Motwane) during 'Udaan'. But I think that is normal," he said. In "Kehne Ko Humsafar Hai", which delves into the issue of infidelity, Ronit plays the male protagonist. He says infidelity is a serious issue and must be addressed in a nuanced manner. "In our society, we are always told to do things based on social norms, we are told what is right and wrong, we are expected to do our duty as a son, as a father, as a husband, as an employee. "What happens to the man, who after doing all that, falls in love with someone who gives him a reason to live life like a human and not a machine that he became under the social circumstances? "This is a complicated area of a relationship, and that is what has been addressed in the story."